In English football, the Community Shield – played between the Premier League winners and the FA Cup winners from the previous season – usually marks the beginning of the new season. The Irani Trophy, named after former BCCI treasurer Zal Irani, was quite like that – played between the Rest of India side and the previous Ranji Trophy winners. From 1965-66 to 2012-13, it was the curtain-raiser for the season that would follow, and fans were given a reminder of the stars from the previous year. But for the last five years, the competition has been slotted at the end of the season. 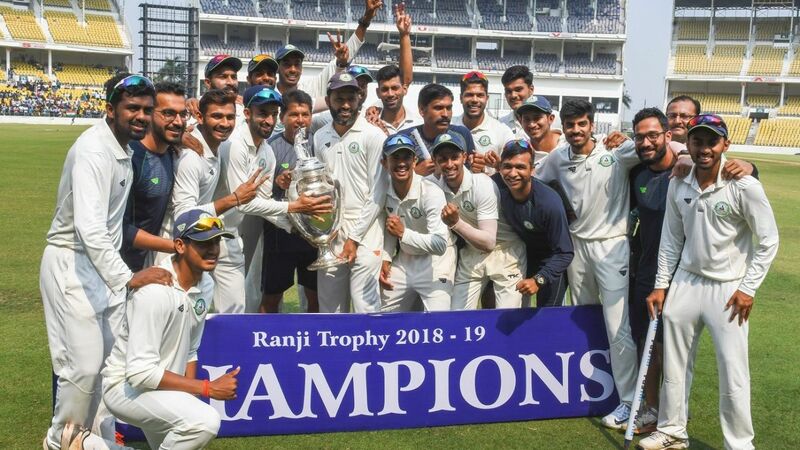 It means that the Ranji-winning side has not lost form waiting for a contest scheduled more than six months later, and for the neutral, the contest has been much more even. In the 15 Irani Trophies contested leading up to the rule-change in 2013, Rest of India lost just twice. Since then, they have won only two times. This year, however, in Ajinkya Rahane, Mayank Agarwal and Hanuma Vihari, Rest of India have half of India’s Test batsmen. Throw in Shreyas Iyer and Ishan Kishan, and that’s an enviable top order. As a whole, their batsmen are stronger than Vidarbha’s, but with this tie being important for each of them (more on that later), the contest could be much closer than what the XIs suggest. Vidarbha, entering the match as successive Ranji champions, are looking to earn consecutive Irani Trophy triumphs too. In a brutal display of batting prowess last year, they rode on the back of Wasim Jaffer, Ganesh Satish and Apoorv Wankhade to amass 800 for 7, against a bowling unit comprising R Ashwin, Navdeep Saini, Siddarth Kaul, before their pacers did just about enough to bowl out Rest of India and take a trophy-clinching lead. This year’s Rest of India bowlers are more inexperienced, and Vidarbha would look to capitalise on that again. Vidarbha, however, will be without their pace spearhead Umesh Yadav, because of a “niggle”, their captain said on Monday. Aditya Sarwate – who dismissed Cheteshwar Pujara for 0 and 1 in the Ranji final will be the centre of focus as the bowlers will try to match their batsmen’s performances. The Rest of India bowlers, however, make up for their lack of experience by coming into the match in red-hot form. Between them, Dharmendrasinh Jadeja, Ankit Rajpoot, Sandeep Warrier and Tanveer-ul-Haq have 195 Ranji Trophy wickets this season. Last year’s competition was indeed a drab affair, but there’s hope this time. The average first-innings score at the VCA Stadium in Nagpur this season is 394, and all three games at the ground this season have produced an outright win. That could get Rest of India excited after last year’s hammering, but they won’t be too pleased knowing that it’s Vidarbha who have won on all three occasions. There will be some eyes on Ajinkya Rahane, who had lukewarm tours of England and Australia. Apart from the fact that MSK Prasad, the chief selector, has said that Rahane is in the running for a World Cup spot, the batsman would be looking to make amends for a season where he threatened without getting the big runs. Iyer and Kishan will have their own goals, with the former visibly slipping away from India reckoning, and the latter losing prominence among India’s growing list of wicketkeeper-batsmen. Aditya Sarwate will be the man who Rest of India will be most wary of. Not only has the slow left-arm bowler bamboozled batsmen in Nagpur, he’s a fine batsman too. His five-wicket haul and 102 sealed Vidarbha’s spot in the final, where he took 11 wickets and made an important 49 in the second innings to take their lead beyond Saurashtra’s reach. A dominating all-round show against the country’s best players could help him leapfrog into India A reckoning. Vidarbha had a settled XI in the final but will bring in Darshan Nalkande for the injured Umesh Yadav. Akshay Wakhare hadn’t planned on his side to win the Ranji Trophy; he got married on Sunday. Despite his marriage reception scheduled for Wednesday, Wakhare has put those plans on hold and has made himself available for the Irani Trophy match. Rest of India have a problem of plenty. A packed middle order of India batsmen may force Rinku Singh and Karnataka seamer Ronit More to miss out. They also have two wicketkeepers, which means Saurashtra’s Snell Patel is likely to be slidelined. Warm, sunny conditions are expected on all five days. The surface in Nagpur has been result-friendly since last year’s Irani Trophy. Teams would prefer batting first and wearing the pitch down, especially since both sides have quality spinners. This season, spinners have taken 67 out of 99 wickets at the VCA Stadium in Nagpur .